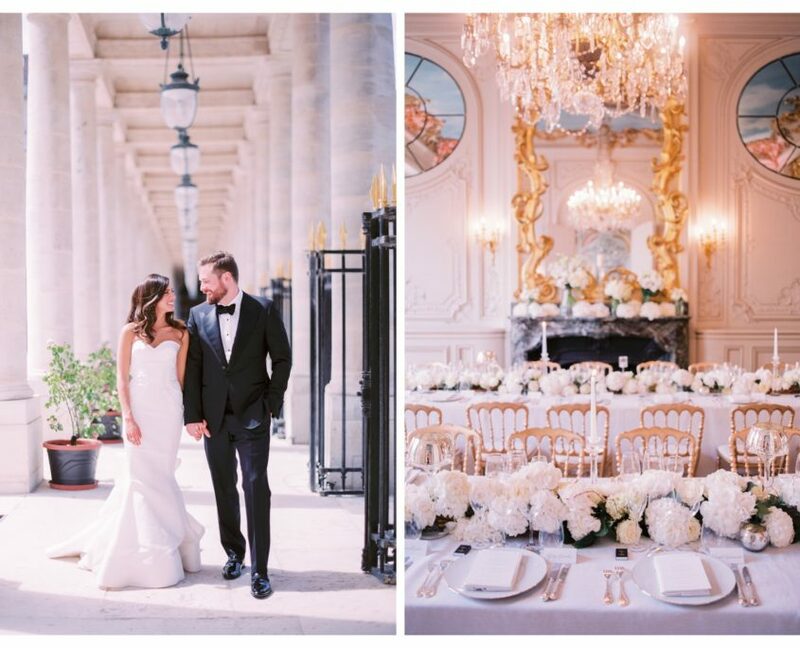 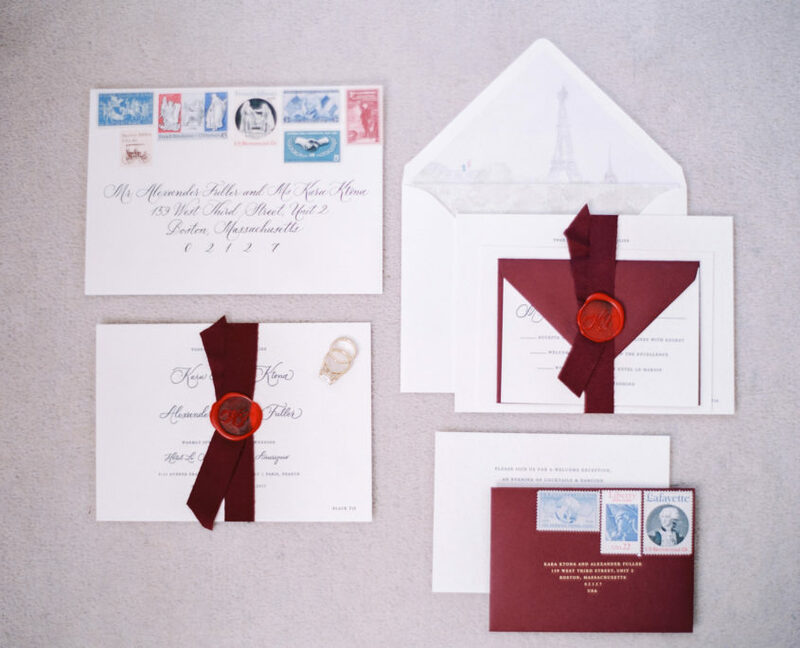 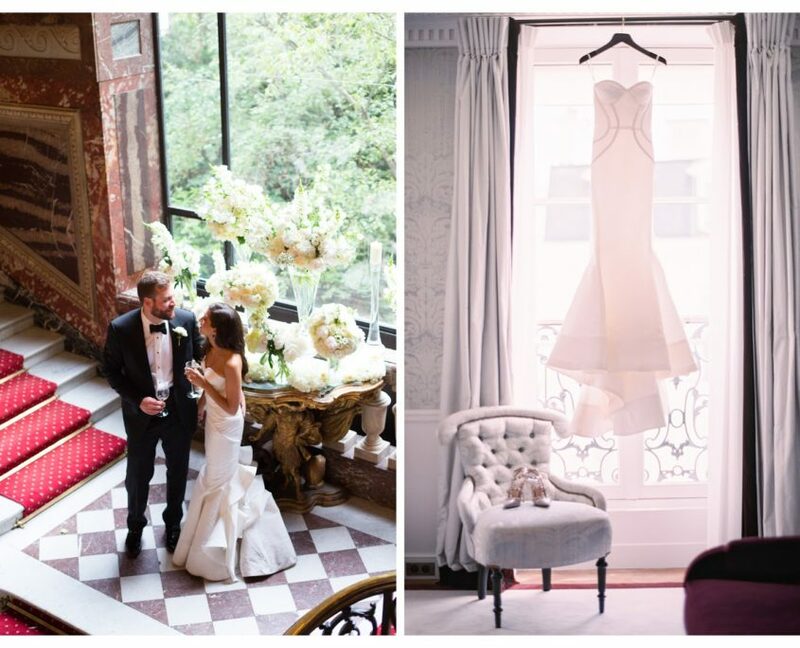 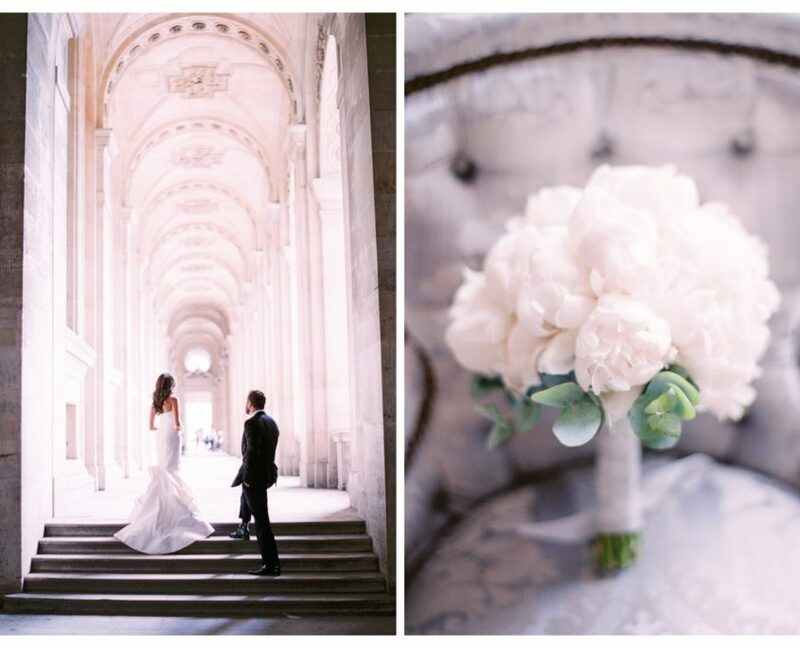 Kara & Alex chose to wed in a a historic private mansion in Paris. 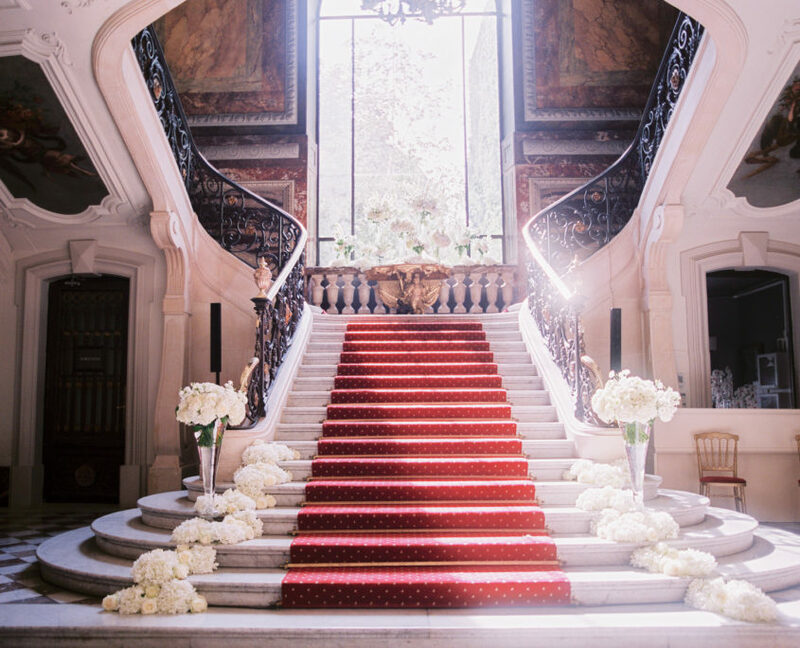 The timeless, sophisticated ceremony took place on the grand staircase. 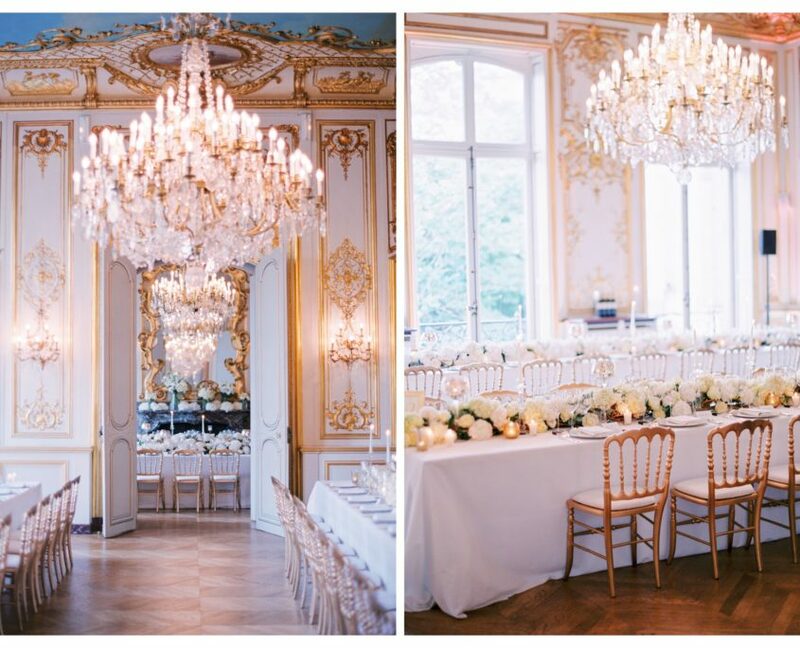 They celebrated with their friends and family in a salon filled with white roses, hydrangeas and curly willow. 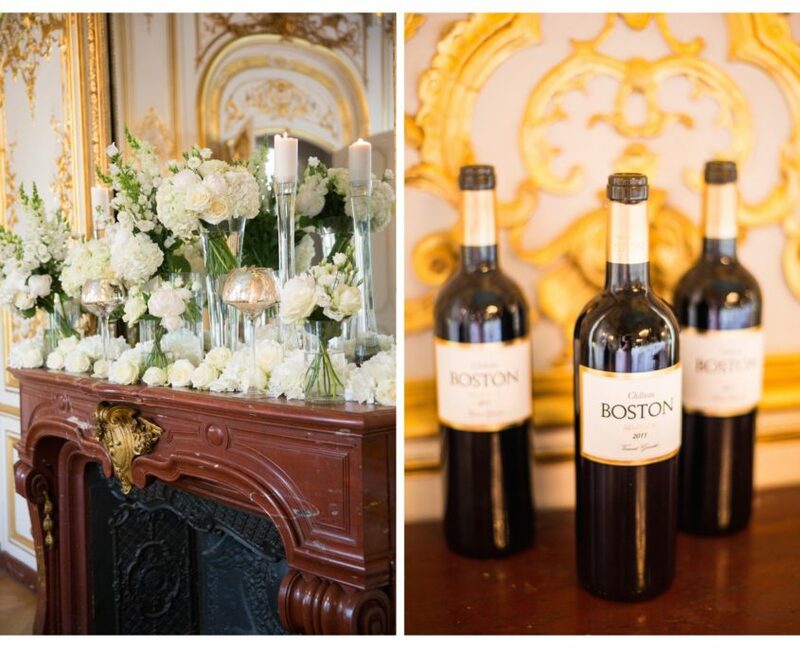 The couple selected Château Boston, a French Bordeaux wine, as a fun nod to their hometown. 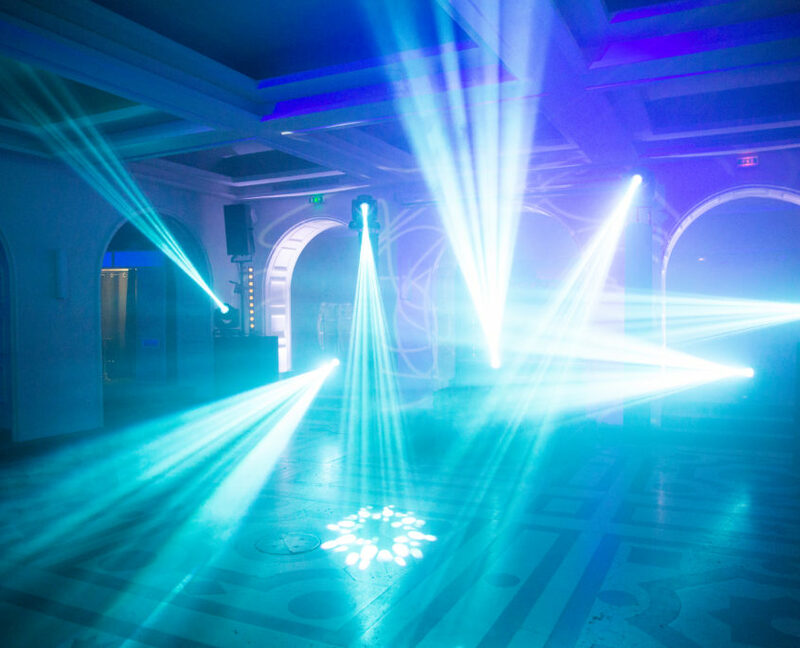 The evening concluded in the mansion’s former Turkish baths which had been transformed into a nightclub with lighting and a live band.